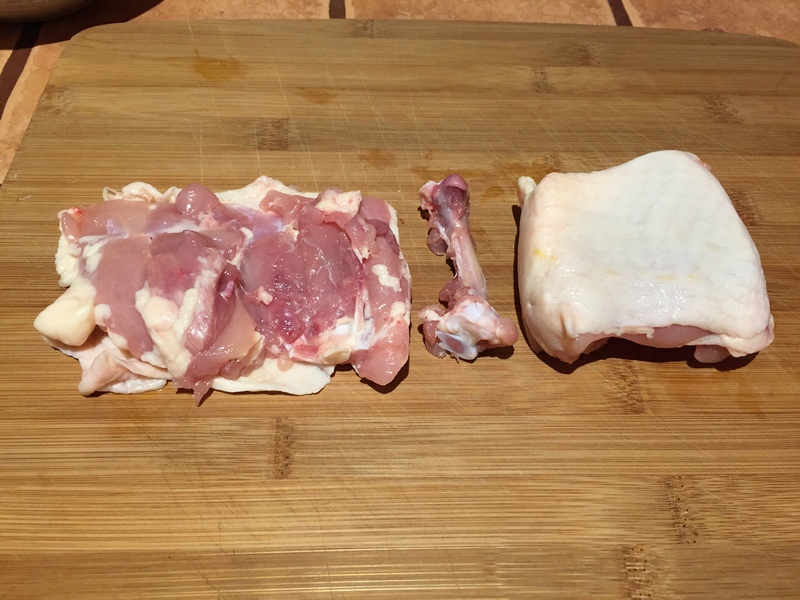 Unfold chicken thighs and place upside down on a cutting board, one at a time. Remove the bone with a sharp knife by cutting along the length of it first, then pull the bone up gently while scraping down the meat. Cut across the end of the bone to remove it. 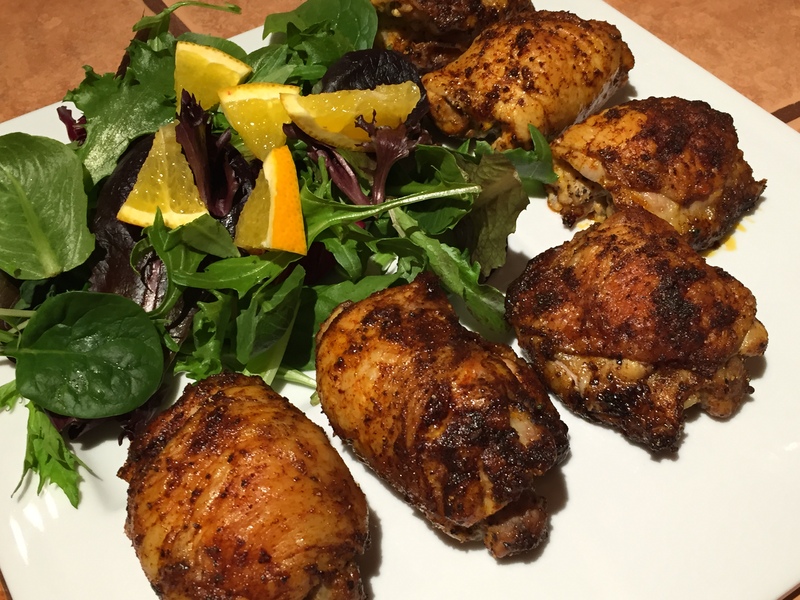 Season the meat all over with salt and pepper, drizzle with a little lemon or orange juice. 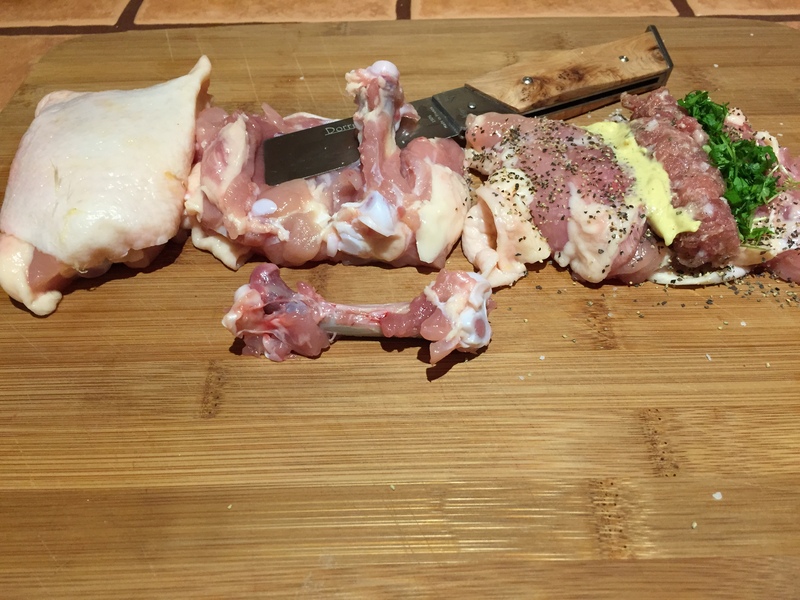 Remove sausage meat from casing and divide in 8 strips, the length of the thighs. 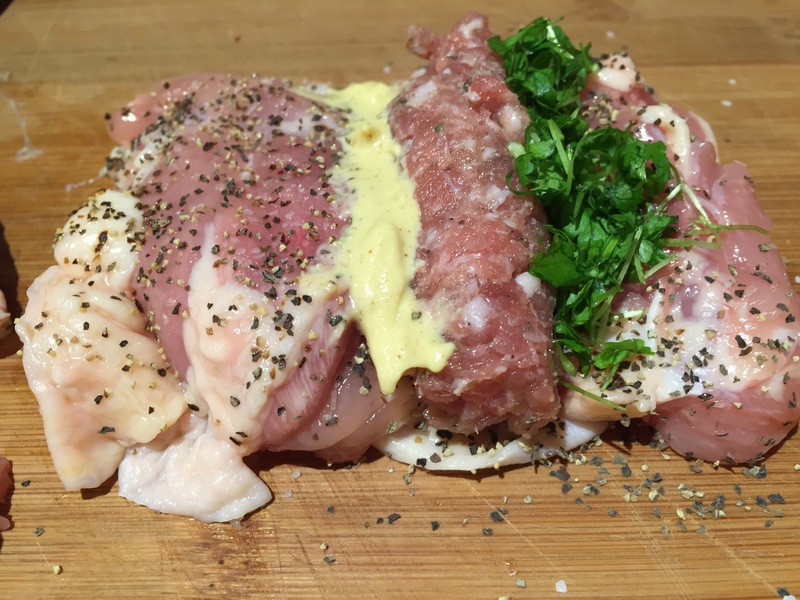 Place the thighs upside down again and fill each one with a line of mustard, herb and sausage meat. Roll the thighs up and place seam down on your board. Spread a little olive oil over the top to make the spices stick. 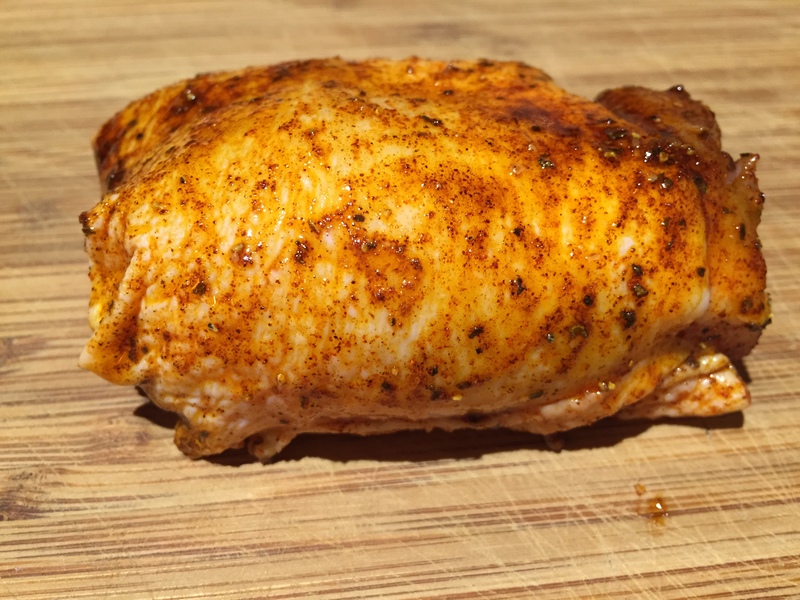 Sprinkle paprika and a little cayenne pepper and rub gently onto the skin. 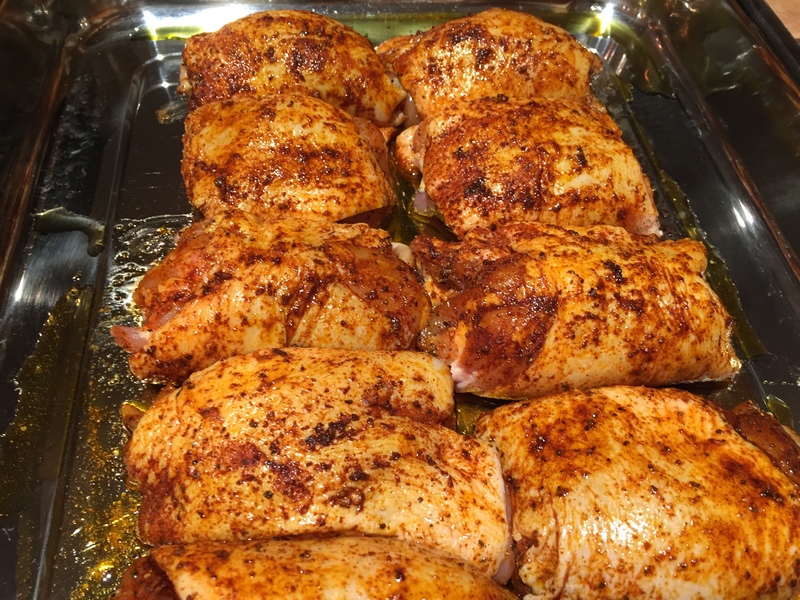 Place the thighs seam down in an oven-proof dish and roast for 25-30 minutes until cooked through. The thighs will hold together if the seam is on the bottom while roasting. They will come out of the pan easily. Place them on a paper towel lined plate for a few seconds, then transfer to serving platter or plates. Add a squirt of lemon or orange juice and more fresh herbs if desired. Boiled and buttered Yukon Gold potatoes and a vegetable will complete your meal very nicely.